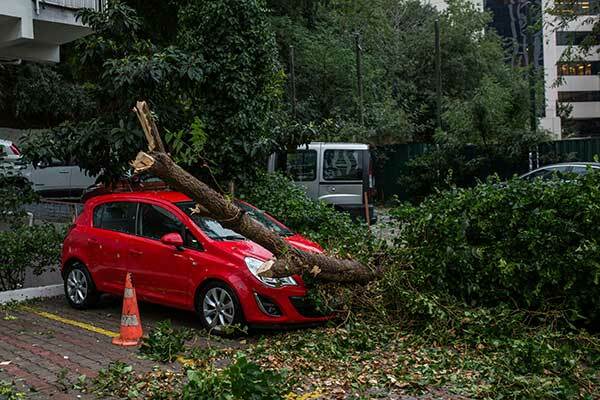 When the stormy season arrives in the Autumn time it is important to check your trees to see if they could be susceptible to damage by high winds during a storm. If you are worried, then please give us a call on 07952 046494 and we would be delighted to inspect the trees you have for any safety issues. With the weather patterns changing recently the winds are stronger than ever, and trees can be a safety concern depending on their condition! 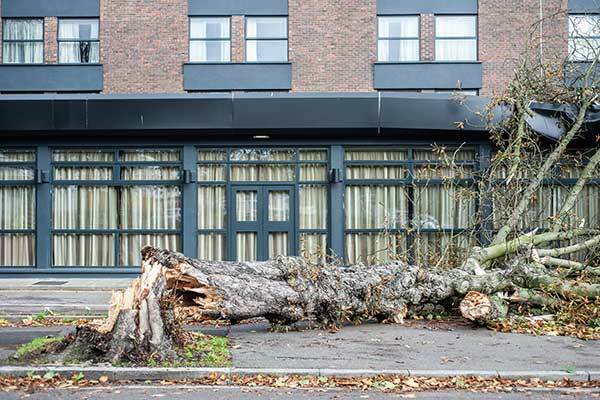 Don’t let this happen to you especially if the tree has a double leg for example an old evergreen or a double leg beech tree, these can be really at risk during the stormy months. When the stormy season arrives in our experience we find that most damage to trees occur when the tree or its limbs fall during the storm. In the summertime it can be due to the soil conditions if it has been particularly wet and the high winds and in the wintertime the weight of snow on the tree can have an impact on the tree’s branches and even the whole tree can be brought down. For someone who owns a property or premises this can be of great concern with regards to safety and an appropriate strategy should be brought into place to minimise any issues that they may have with the trees. There is where we can come in to inspect the trees and act accordingly to reduce the likelihood of any damage caused e.g. by removing dead or diseased wood. "Professional, yet friendly from the outset. Faced with a difficult task when asked to undertake a crown reshaping of my old oak in unrelenting weather conditions. Special mention to Cameron Crowberry who was born to yield a chainsaw, a true testament to his profession." "Can't recommend Special Branch too highly. They were on time, and did a great job despite appalling weather. Very professional and their fees were very reasonable. I would recommend Special Branch to anyone needing tree surgery." Destroyed By A Tree In Storm Weather!